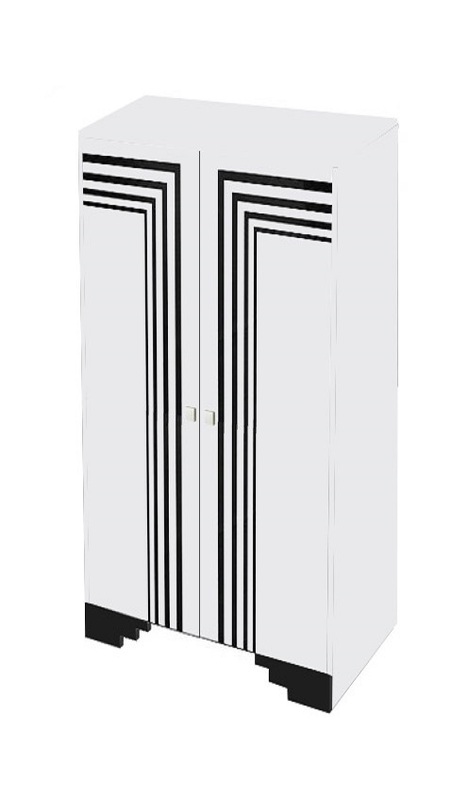 This is a really striking Deco wardrobe; while the shape is straight forward the overall effect is impressive with it's speedlines & stepped base. The stong contrast of the black & white give it an almost graphic look. Also shown are different design variations. 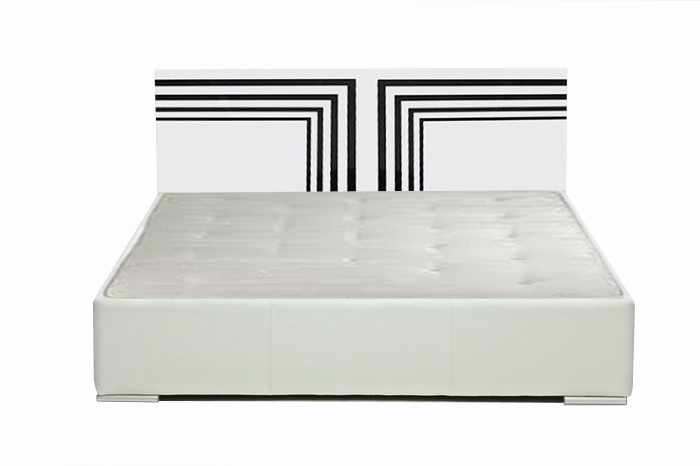 We've also shown a matching bed headboard, so you can co-ordinate the look of the room. 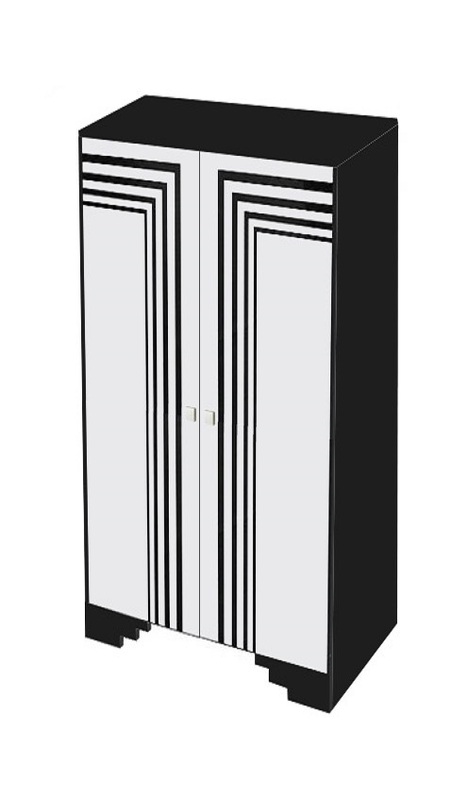 You could have this as a freestanding or built-in robe, with 2, 3 or 4 door versions. The interior can be fitted out as you like. Made to order. 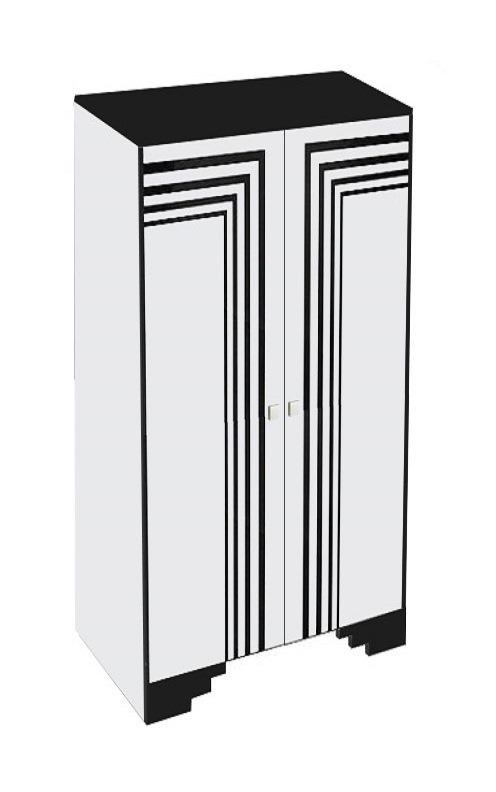 Shown above is a matching handle that would match this robe style perfectly. 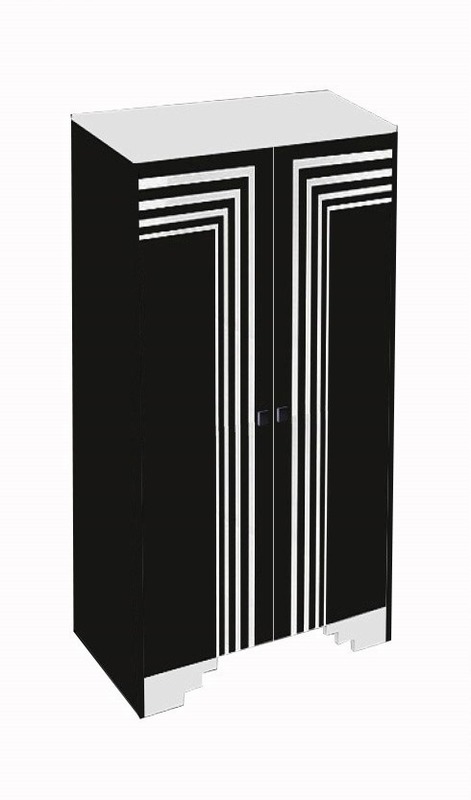 It really has wow factor, with a 3 stepped profile. Made to order & pretty expensive at that. But sometimes pieces like this really just finish off a piece perfectly.